An incredible chase day for November! Left for southwest Oklahoma with Steve Miller, catching initial storms near Quanah, Texas before deciding to head southeast to intercept the rapidly intensifying storm approaching Tipton, Oklahoma. we reached Tipton just as it began producing tornadoes, and were able to follow the storm for a couple of hours, seeing multiple tornadoes from Tipton to Fort Cobb. After having a celebratory steak at the Cimarron Steak House, the day was capped off with a magnitude 4.7 earthquake, Oklahoma's quakenado day! Click the story title for video, complete photo set, and descriptions. 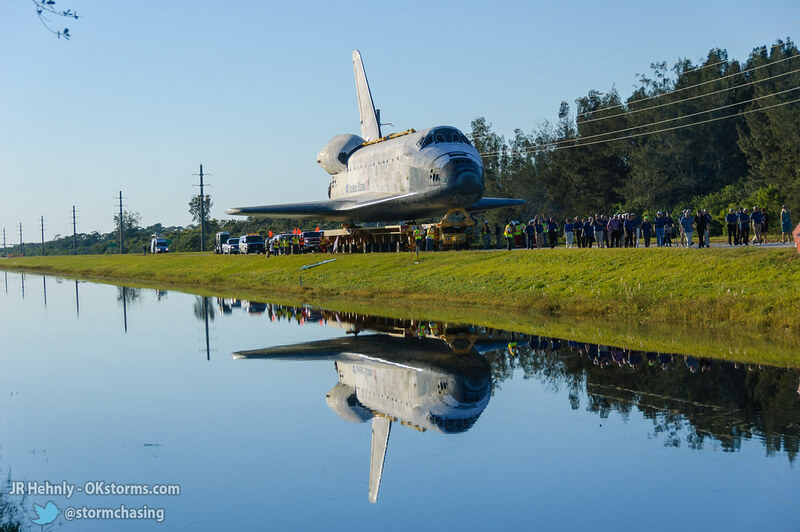 I got to spend a couple of days at Kennedy Space Center in Florida to witness the final trip of NASA's Space Shuttle Atlantis, 12 miles from the Vehicle Assembly Building to the Visitor Complex. Click the story title for all photos and descriptions. 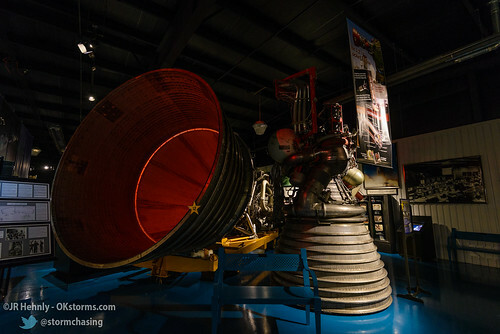 Oklahoma has a great air and space museum located in the city of Weatherford, about an hour west of Oklahoma City on Interstate 40. The museum, a Smithsonian Institution Affiliate, contains 40,000 square feet of aerospace artifacts. Click the story title for complete photo set and descriptions. Followed a storm from it's initiation near Fort Cobb all the way into Oklahoma City where it produces a night-time tornado with a path though the northwest side of the city. The frequent power flashes made the tornado somewhat easy to keep track of as it tore through the city. Additional images from the day are viewable here. 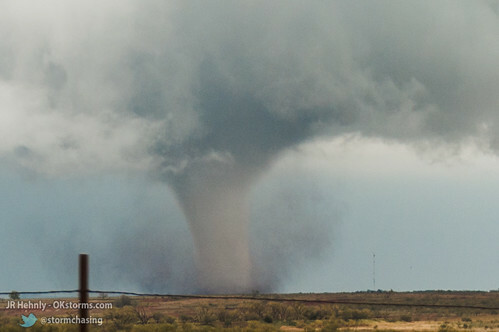 Here's my video of the tornadoes in and close to Happy, Texas tornado from May 5, 2002. Unfortunately, even though the sirens can be heard to be activated well before the storm reached the town, a couple remained in a mobile home and lost their lives as a tornado went through the middle of the town. My photos from the day are viewable here. I shot this video the day after the devistating May 3, 1999 hit the Oklahoma City metro area. Most all of this video was from areas sustaining F4 damage. Photos and chase summary can be seen here. Here's some video from my chase on May 3, 1999. Saw numerous tornadoes in southwest and central Oklahoma. Photos and chase summary can be seen here. This rapidly rotating wall cloud comes very close to producing a tornado just northeast of Frederick, OK on April 17, 2013. Small vorticies can be see intermittently forming and then rotating around the base of the wall cloud.